The advancement of life science and medical technologies has required us to reconsider ‘human”, ‘medicine’, ‘well-being’, etc., fundamentally. It is high probability that genetic engineering and artificial intelligence will be involved in medicine deeper than ever before. 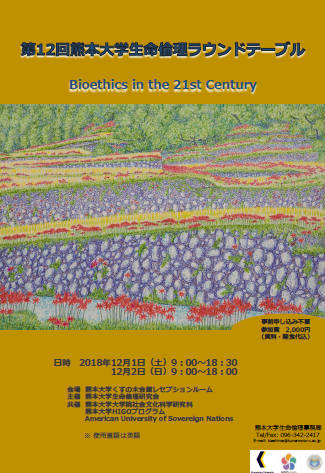 Taking cultural differences into account, we will discuss how bioethics should be from philosophical and ethical perspectives as well as practical ones.